This is just a quick post to let all my readers and fans know that I just published another short story ebook! 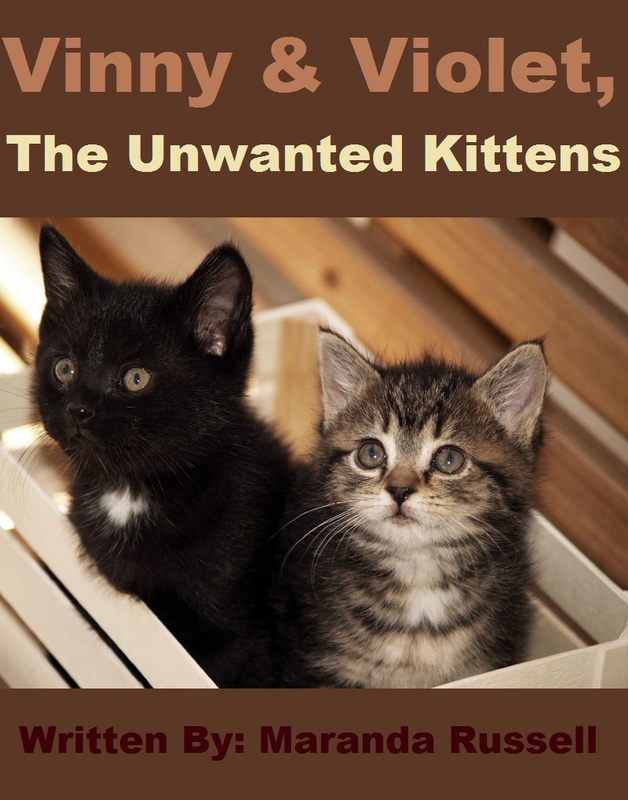 This ebook, titled “Vinny & Violet, The Unwanted Kittens”, is a heartwarming tale about two abandoned kittens and the little girl who rescues them. 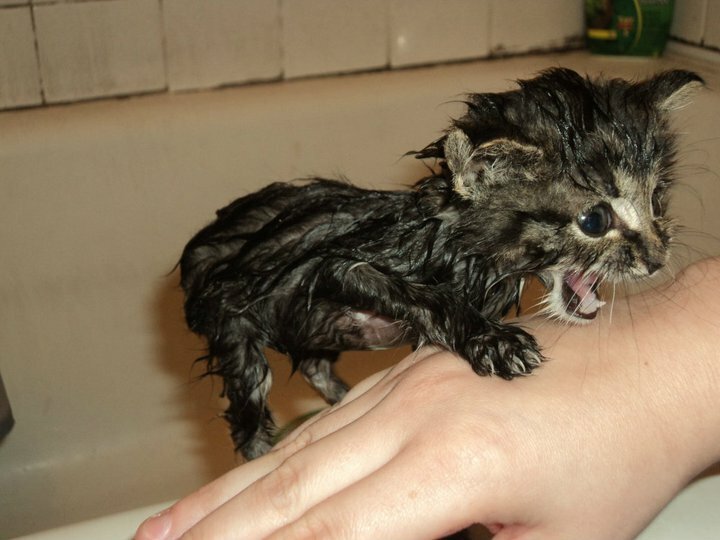 The story quickly takes a serious turn when one of the kittens becomes extremely ill and has to fight for her life. This ebook is best suited for independent readers age 7-11, but can also be enjoyed as a read aloud story. Not only is the book uplifting and inspiring, but it also teaches an important lesson about empathy and proper animal care. Animal lovers will definitely like this one! To purchase this ebook for only 99 cents, please visit the book’s Amazon page. If you and your child enjoy the story, please consider leaving a review on Amazon as well! Tonight at church we found a couple kittens who had been abandoned in the parking lot. They were inside a cardboard box, but other than that, hadn’t been left with any necessities. We don’t know how long they had been there, but they could have been there since Sunday. 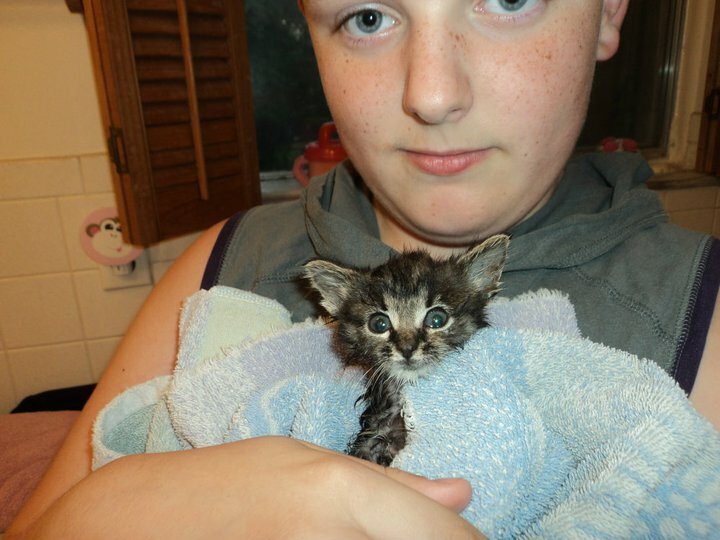 The little guys were starving, but more than that, one of them was obviously ill. We took them home, gave them a bath, fed them and then tucked them in for the night. Originally the plan was to drop them off at a shelter tomorrow, but now it’s getting harder to do that. I told myself I WOULD NOT GET ATTACHED, but then we gave them names and took care of them and snuggled up to them…I worry that it won’t be that easy to part with them now. We need to make a decision soon, after all, one of them really needs medical care, but should we pay for a vet visit or just take it to the shelter and let the vets there heal it? Now that I think about it, we probably shouldn’t have given them names, because it will only make it MUCH harder to consider giving them up…but on the other hand, we already have three cats…do we really want five? 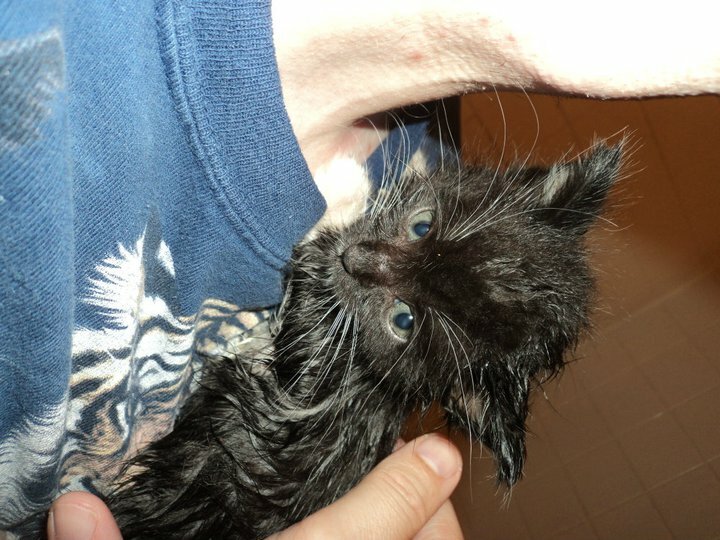 Here are some photos of these kittens after their bath. The first two photos are of Ichabod. He (or she) looks pretty healthy and is a very loving butterball. 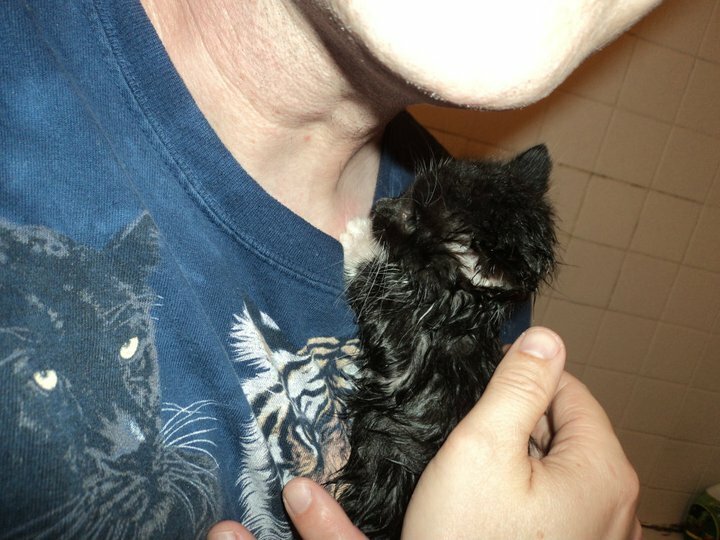 The last two photos are of the sick kitty. He (or she) is severely underweight, and I figure it probably has worms. This one is tentatively named Mao…but make sure you say it right…like a cat would.